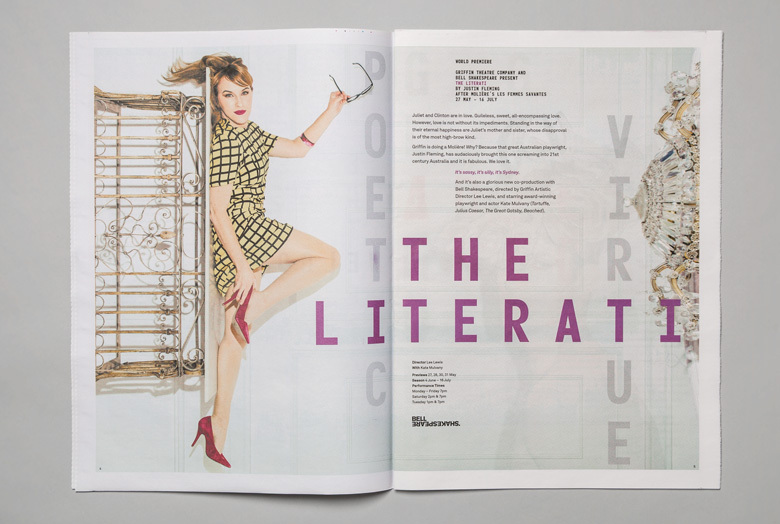 Griffin’s Stables Theatre in Kings Cross is the proud home of new Australian writing. They rely on the generosity of donors and government funding. However due to ever decreasing arts budgets, there was an urgent need to get more bums on seats. This is why the bold objectives of the 2016 season, which are actually taken from an ancient Sanskrit text, were so important. We worked with photographer Brett Boardman to capture the rawness and intimacy of the Griffin experience and particularly the 2016 season. The photography cuts through the façade of a studio shoot to make you feel in the room with the actor. No fake glamour, no false gloss. This is also reflected in the launch film, which gets up close and personal with the actors in super slow motion. 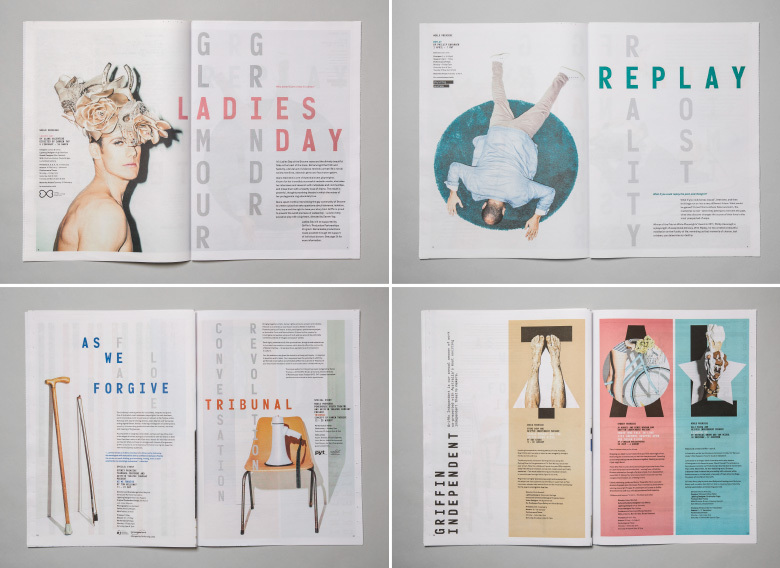 The brochure is printed as a newspaper for its realness and grit. 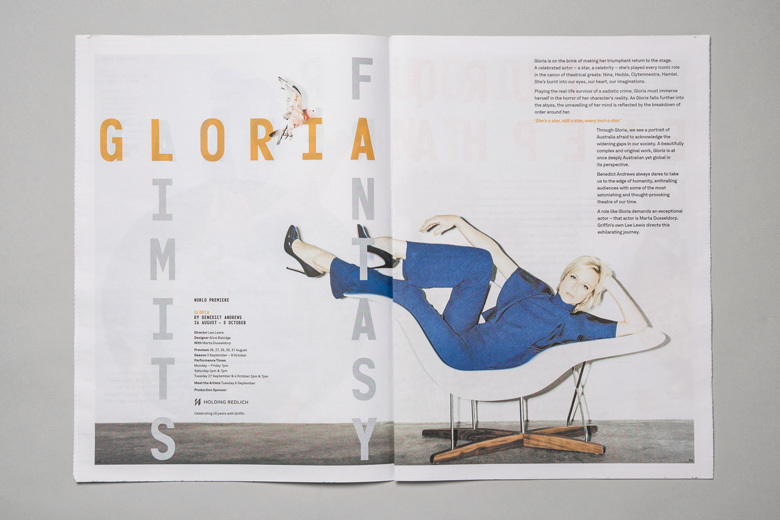 This not only helped to distance Griffin from its competitors’ glossy pages, but saved on printing costs so we could extend the brochure’s reach. 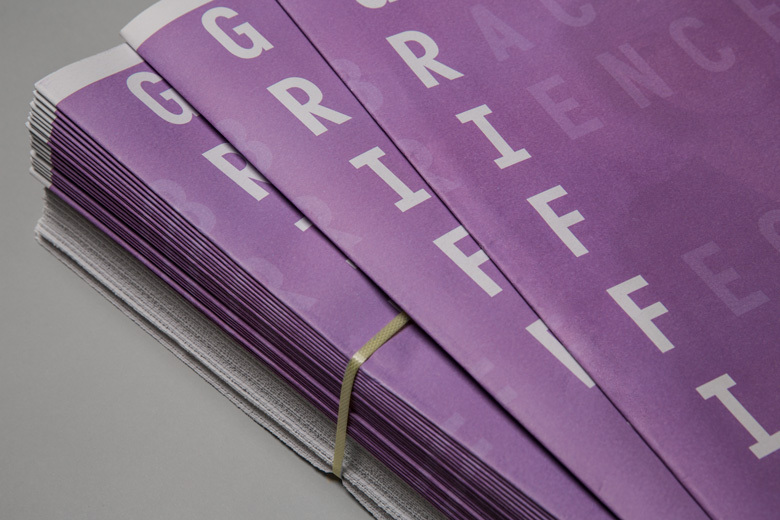 It all launched on August 31 to a tiddly mass of theatre-goers and donors, revealing just how bold and provocative Griffin’s 2016 season will be. Trailer produced in collaboration with M&C Saatchi (editing) and Steve Toulmin (sound).